I am now shipping version 9.9 of AstrolDeluxe Platinum. You can easily import saved charts from the latest versions of other programs such as Janus, Kepler, and Solar Fire. I made it easier to research aspects for any of the 80 minor planets included under Asteroids. If you want to research family dynamics, version 9.9 adds new types of Group Signatures, for Sign Modalities and Elements, for House Modalities and Elements, for Hemispheres and Quadrants, for Signs, and for Houses. The Famous Charts collection that is bundled with AstrolDeluxe Platinum started with 2,000 charts in 1992. The collection is now at 5,626 chart records. The birth information at Astrodatabank and at Google has improved greatly in recent years, so I took two weeks around October 1, 2018 to go through and correct all the records. As a result, the number of charts with known birth times increased by 443, from 3266 to 3709. The number of charts rated AA or A increased by 822, from 2115 to 2937. Astrology is in a transitional state now. For the first time, we have databases that let us connect accurate charts with in-depth biographies of well-known people. That new information is helping astrology to improve. Now shipping - a complete set of 480 separate male/female interpretations for all the declination parallel and contraparallel aspects. It took me over six months of work, but the results speak for themselves. These declination aspect interpretations will be the reliable standard for a very long time. To find the principal and subsidiary themes for each aspect, I looked at up to twenty biographies for well-known people and many more mini-biographies for lesser-known people. I had available to me statistical frequencies for 22 different vocations for each of the declination parallel and contraparallel aspects. The interpretations do not stop at Pluto, but establish in a definitive way the meaning of mutual aspects involving the Ascendant, Midheaven, Moon's North Node, Chiron, East Point, and Black Moon Lilith. See what outer planet declination aspects CalTech physicist and curious character Richard Feynman had and shared with 60 Minutes investigative reporter Mike Wallace here. As I was starting on Chiron parallel the East Point, it occurred to me to do a little study that would better define the nature of the East Point. You can order the Separate male and female Declination Parallels and Contraparallels interpretations by themselves or in a reduced price bundle with my other recently researched interpretations, for Chiron, the Moon's Nodes, Black Moon Lilith, and the Minor Square Aspects, at https://www.halloran.com/orders.htm. To receive an e-mail interpretation of the closest declination aspect involving the personal planets in your chart, for just $5.00, order at https://www.halloran.com/orders-r.htm. In researching and writing these declination interpretations, I discovered that both Adolf Hitler and Hermann Goering, his number two, were born with Mars closely parallel Chiron. To read about the significance of this aspect, visit the updated page for the Astrology of Charlie Chaplin and Adolf Hitler. Halloran Software's products are now listed at Amazon. For links, visit the page for Astrology Software on Amazon. Version 9.8 of AstrolDeluxe Platinum adds features for Automated Statistical Research and a Vocational Ranking page. Click for more information. Version 9.7 of AstrolDeluxe Platinum adds an in-depth Aspects Grid to the Display menu. This is a larger and more informative version of the small triangular aspects grid that can appear at the bottom left of a printed chart or on the special Wheel with Grids Page. This full-size Aspects Grid uses the Halloran astro wheel font, that comes bundled with AstrolDeluxe Platinum, to show what if any aspect exists between the planets indicated by the intersecting columns and rows. It shows with the letters 'a' or 's' whether the aspect is applying or separating. If the declinations of two planets makes them parallel or contraparallel, the declination aspect symbols will appear together with the zodiacal aspect symbols. The orb of the applying or separating aspect is shown in degrees and minutes. Click for illustrations. The final screenshot shows how you can click on any aspect to get a pop-up interpretation for it. Version 9.6 of AstrolDeluxe Platinum added AstroDatabank-type research features. Click for a tutorial page. The Moving Graphic Ephemeris in version 9.5 of AstrolDeluxe Platinum can now show Reinhold Ebertin's progressed Life Diagrams as well as graphs of Progressed Declinations. Version 9.5 prepares for the future by adding program logic to automatically draw from separate interpretations for a male or female natal interpretation report. Version 9.4 adds a Map of Degree Strengths to AstrolDeluxe Platinum. Version 9.3 adds a Separate Wheels Page to AstrolDeluxe Platinum. For another illustration of the Separate Wheels page, see the Astrology of Charlie Chaplin and Adolf Hitler. Version 9.3 also adds a checkbox, Refine Results with Aspect Orbs, at Customization, Aspect Patterns. After finding an aspect pattern or configuration in a chart, using the 120 sections that define the 35 patterns, version 9.3 can apply an additional test to see if the found planets are within the orbs that you have defined at Customization, Aspect Orbs. Version 9.2 adds a Graphic Aspectarian to AstrolDeluxe Platinum. John Halloran worked from June to October of 2016 researching and writing complete male and female interpretations for all the 45-degree and 135-degree natal aspects. If you order them for $100, you will receive updated Male Female Aspects files. Depending on what you have ordered, the Male Female Aspects files for your AstrolDeluxe program can also contain Moon's Node aspect interpretations and Black Moon Lilith aspect interpretations. You must have version 8.6 or higher of AstrolDeluxe in order for the separate male/female interpretations to be automatically incorporated into your Personal Path or Spirit Success natal interpretation reports. These 'Minor Square' aspects can have a major influence upon the person. Click for more information. Click to look at "Democratic and Republican Power Graphs for Election Day". Version 9.1.5 adds the ability to copy the PowerGraph, AKA the Planet Strengths bar graph, to the on-screen Wheel page that you can Print or Save to File. Keep this printed chart page that shows the client's Harmonious and Inharmonious planet strengths for reference or give the printout to the client. After eight months of intensive development from October of 2015 to June of 2016, during which we worked with over one hundred Beta-testers, version 9.1 of AstrolDeluxe has a new name and a new price. See the major new features of AstrolDeluxe Platinum. See animated tutorials that cover some of the features of AstrolDeluxe Platinum. The $169 AstrolDeluxe ReportWriter program is stable at version 8.7. Version 8.7, released in July of 2015, added calculation of the distinctive planetary signatures for a family, workplace, or any other group of up to 300 people. The Group Signatures use the same Planet Strengths bar graph form that you presently generate for individuals, allowing you to compare and contrast an individual's energies to the energies of his or her family, workplace, or other group. Use this feature to get an overview of the distinct planetary energies that tend to recur in the birthcharts of family members.  What karmic gifts and/or challenges does the family's group signature reveal? Is the signature multi-generational? How far back does the signature go? In the world of business, an astrologer using this feature and consulting with the human resources department for a company could determine if a particular workplace has a distinct signature, and then estimate in advance how comfortably an individual might fit into that workplace. The $300 AstrolDeluxe Platinum and the $169 AstrolDeluxe ReportWriter programs are both compatible with Windows 10 as well as with all previous 32-bit and 64-bit versions of Windows. See screenshots and read the details about additions to version 8 of AstrolDeluxe ReportWriter. Note especially how version 8 made it much easier for you to find, select, and run any of your added interpretation reports as all the reports that you have are listed on the program's new Report Express menu. See a concise page summarizing Halloran's three new interpretation set add-ons. We are now shipping orders for a complete set of separate male and female Black Moon Lilith interpretations. The Black Moon Lilith is the empty focus of the Moon's elliptical orbit. Its zodiac direction is the same as the zodiac direction of the Moon's mean apogee. The Black Moon corresponds to a drive for freedom, with a secondary consequence being concern for human dignity. The Black Moon is dominant in the charts of 90 of the most famous, productive, and enlightened people in the collection of 5200 Famous Charts, with Michelangelo being the earliest and Pope Francis one of the most recent. This new interpretation set delineates all the aspects from the BML to the Sun, Moon, Mercury, Venus, Mars, Jupiter, Saturn, Chiron, Uranus, Neptune, Pluto, Moon's Nodes, Ascendant, and Midheaven for the aspects Conjunction (0d), Opposition (180d), Trine (120d), Square (90d), Sextile (60d), Semi-Square (45d), Sesquiquadrate (135d), and Inconjunct (150d). There are 112 in-depth delineations for males and 112 in-depth delineations for females. When you are using version 8.6 or later of Halloran Software's AstrolDeluxe ReportWriter program, the new interpretation set, which sells for $100, automatically inserts Black Moon interpretations into our well-respected Personal Path natal or Spirit Success natal reports. If you have not yet added the Chiron interpretations or the separate male and female Moon's Node aspect interpretations, you can bundle these two $50 sets with the $100 Black Moon Lilith interpretations for a discounted total of $185. Look for this bundle price on the order form. Here is a sample delineation for males with Mars square BlackMoon. You could start life on fire, brilliant at a young age. You can be wound pretty tight. A stable marriage could benefit you, giving you a sounding board and helping you to relax. Regular exercise can also relieve tension by taking your mind off work. Travel could be enjoyable and give you additional perspective. You are a decisive, thinking person who can handle responsibility well. No one questions your integrity. With an education, you could excel in science or other technical fields. In your work you might develop a daring, experimental style. You thrive when you can operate independently, in competitive situations that allow you to exert all of your considerable energy, strength, and talent. There could be some traumatic shock to your system when you are young. You could have a bad reaction to anti-depressant pills, so avoid them. A self-help retreat could reenergize you. Click to see or download a sample Personal Path natal report in pdf format for Pope Francis, which inserts aspect interpretations for males from the new Halloran Black Moon Lilith set and Halloran Moon's Nodes set, and interpretations from the new Halloran Chiron interpretations. 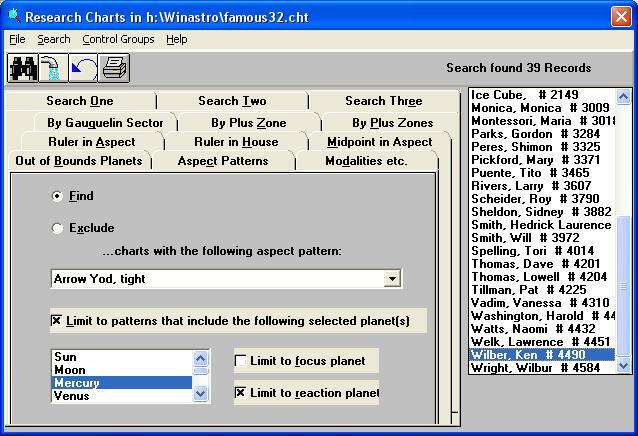 Version 8.6 added the ability to automatically draw upon separate natal interpretations for males and females, calculation of Solstice Points (antiscia) with the ability to easily compare to other charts for relationship synastry or transits, a table of Altitudes showing if any planet is on the horizon of a Local Space chart, and new commands to create more flexible transits reports, with a new Cluster transits report that demonstrates use of the commands. We are now taking orders for a complete set of separate male and female Moon's Node aspect interpretations, with delineations for these aspects to the Moon's North Node: 0d, 180d, 120d, 90d, 60, 45d, 135d, and 150d. Aspects are not only to the Sun through Pluto, but also to Chiron, the Ascendant, the Midheaven, and the Black Moon Lilith. Normally $50 for both the Chiron and the Moon's Nodes aspect interpretations, you can bundle both of them for a total of $90. Look for this bundle price on the order form. Here is a sample delineation for females with Pluto semi-square the North Node. You could start preparing for a career at a young age. You can become known for an innovative look that you develop. Your appearance is that of a wholesome, active young woman. You are self-confident and do not wear a lot of makeup. Your life may bring you into contact with some big power, with whom you are forced to negotiate. You can rebel against an authoritarian power and then possibly regret the position that you took. Your individualism is very important to you. You do not want to be a cog in the machine. Helen Reddy wrote the song I Am Woman in 1972 to celebrate the positive self-image that the women's movement and this aspect bestows. You give the impression of being an average person to whom extraordinary things happen. You could be going along in life when something shocking occurs that makes you reevaluate your life and causes you to become a different and deeper person. You can be a fierce competitor who could have a long streak of wins. You do not have a problem with working hard. An illness or accident could be the impetus that gets you to scale back. The ways in which the Moon's Nodes affect men and women are very different. I take those differences into account in the interpretations that I wrote for these aspects. I also find that conjunctions to the South Node manifest quite differently from conjunctions to the North Node -- the South Node easily forms or joins teams while the North Node tends to function as an individual. My interpretations of aspects to the Nodes are guided by what I see in the biographies, not by unprovable theories. Click to see or download a sample Personal Path natal report in pdf format for one of my favorite sci-fi authors, Charles Sheffield, which inserts aspect interpretations from the new $50 Halloran Moon's Nodes and $50 Halloran Chiron interpretations. I am now shipping a complete set of 122 Chiron natal interpretations, delineating the 12 sign and 12 house placements and the aspects to the planets, including to the Ascendant and Midheaven. The aspects include the 0d conjunction, 180d opposition, 120d trine, 90d square, 60d sextile, 150d inconjunct, 45d semi-square, and 135d sesquiquadrate. These are the aspects for which I was able to find strong signatures in the biographies of the 5200 famous people in the AstrolDeluxe collection. I developed a method of synthesizing interpretations from biographies. For this new set of Chiron interpretations, I scanned through hundreds of biographies. I focused, in particular, on subjects in whose charts Chiron is dominant and in which Chiron forms exact aspects. I did not reuse any interpretation, but started each new delineation from scratch, researching the biographies and writing a delineation that was true for each new set of chart subjects. It has been very gratifying to see the central themes manifesting over and over again in different people's lives, thereby affirming Chiron's important role in the astrology chart. Chiron interpretations from other astrological authors are based largely on theory and rote formulas. They are not based on extensive, methodical research. Only from the Halloran interpretations will you learn in a reliable way how Chiron manifests, and how to interpret its placements and aspects in the chart. The Setup program for your Halloran Chiron interpretations allows you to add them to any of your full natal report sets for AstrolDeluxe ReportWriter. The price for the Halloran Chiron interpretations is $50.00. You can read additional samples of the Chiron interpretations in the maps page linked to immediately below. Version 8.5 of AstrolDeluxe ReportWriter added maps showing the local space planet lines radiating out from the birth place. View sample maps showing local space planet lines for George Foreman, Madonna, and Dr. Barbara De Angelis. These planet direction lines are also called azimuth lines or horizon chart lines. Users can select and see maps showing the local space planet lines crossing the World, Australia/New Zealand, Canada, Europe, Mexico, and the United States. Lines for the asteroids are supported. I am still in the early stage of exploring this technique among charts known to me, but already I see the asteroid Juno line correlated with partnerships and the asteroid Ceres line correlated with parenting and child care. The user can select to see a line for any of 80 additional asteroids as well as interactively turn on/off different planet lines or glyphs. By observing what line a person has followed to their present location, the astrologer can zero in on what body is especially characteristic for a person's life. Starting with version 8.4, you can now click on the colored planet energy bars in the Planet Strengths bar graph in order to see pop-up details of all the aspects that contribute to those Harmonious and Inharmonious strengths. Version 8.4 extended the accuracy for Chiron, Ceres, Pallas, Juno, and Vesta 150 years further back in time, from the year 1800 to the year 1650. These five are the additional asteroids that you can add to the graphic wheel display at Customization, Planets. Version 8.4 added the ability to have a 30-degree sort strip at the lower right corner of the printed chart for the graphic aspects wheel. The astrologer can use this to easily see if a transit or eclipse at a particular degree area is likely to affect a person. See the Release Notes for how to turn this on. Here is a sample of the Composite Compatibility page that was new with version 8.2. Astrology for Windows is available in a new version 3.0 which is 100% compatible with both 32-bit and 64-bit Windows, including the new Windows 8, and which costs $45 to register. The old Astrology for Windows download was not compatible with 64-bit machines. Version 3 has so many improvements that it uses a new system of registration codes - the old registration codes that users have been getting for the last 18 years, since 1994, will not work with version 3. The new Astrology for Windows can be installed directly from an Internet download, but it will install on top of the old Astrology for Windows. You can continue using your file of saved charts. If you are a registered user of the old program, there is a $10 upgrade discount. The old program does not need to be on your computer in order to get the $10 upgrade discount, as the discount is based on our customer records. Read the details, including download instructions, for the new Astrology for Windows here. The new $100 Composite Couples Report is finally shipping. This compatibility report interprets the composite chart that is formed from the midpoints of the planets in two people's charts. Our report interpreting composite charts is different because we looked at so many sample composite charts for our research - collections of 1) 150 known couples with birth times, 2) 53 happily married anonymous couples with birth times, 3) 40 bitterly divorced anonymous couples with birth times, 4) 1068 married couples without birth times, and 5) 238 divorced couples without birth times - enough to finally see what attracts couples and what keeps them together. The results support what conscious marriage relationship counselors have been advocating for twenty years now. Composite Couples is a modern astrology report that puts astrologers on the same page as modern relationship therapists. At the same time, we definitely found plenty of evidence that couples are being brought together by Fate from The Other Side in order to be together. There are two sample reports that you can examine now - a report for a couple with birth times and a report for a couple without birth times. Click here to read a 38Kb Adobe Acrobat format timed report for Adolf Hitler and Eva Braun. Click here to read a 20Kb Adobe Acrobat format untimed report for Duane and Beth Chapman, whom you can see every week on cable television in the reality series Dog the Bounty Hunter. Both of these reports show the astrological power of the composite chart to transform or enhance lone individuals who agree to link themselves in a true partnership. The final paragraph for the first of these reports is for Uranus opposite Pluto - its interpretation could have some relevance for the Uranus square Pluto transit that will be affecting the earth for the next several years. Composite chart research has led to the discovery that every person has a second natal chart derived from the combination with their parents, the family triad chart, illustrated here by showing and discussing the triad charts of U.S. Presidents and world leaders. The triad chart reveals the purpose for which you were born. See screenshots and read the details about version 8 of AstrolDeluxe ReportWriter. Version 8 added the trans-Neptunian objects Sedna and Eris. You can download files for additional TNOs and asteroids from the Updates page. AstrolDeluxe ReportWriter comes with templates to recognize 35 aspect patterns. For $50, you can add an interpretation set of 392 delineations of these 35 patterns with their different focus planets and pattern planets. Aspect patterns combine three or more planets in a synthesis that is at a higher level than an aspect between just two planets. They allow you to give a very personal reading of the native's chart and direction in life. These reports are fresh and educational. The television-viewing world watched last spring as some young singers transformed into confident artists during the course of American Idol, season 10. Click to read a free report on the three aspect patterns in the chart of singer Haley Reinhart. Or, click to read a free report on the three aspect patterns in the chart of her jazz-duet partner Casey Abrams. For a very different set of energies, click to read a free report on the four aspect patterns in the chart of actress Angelina Jolie. Click here for an in-depth page devoted to the two aspect patterns of billionaire investor Warren Buffett. Besides generating a short Aspect Patterns Only report, you can now generate a Standard with Aspect Patterns natal report in which the final section delineates the chart's Aspect Patterns. Click to read a Standard with Aspect Patterns report for singer Neil Diamond. This 30-page report combines the $100 Personal Path and $50 Halloran Aspect Patterns interpretations. Click to see the Grand Septile aspect pattern in Oscar Wilde's chart (23K image). Click to see the Aspect Patterns search screen (72K image). Click to see the screen with the listbox of found aspect patterns (29K image). Click to see the aspect patterns designer wheel (34K image). We had a good response to August's announcement of the KidZone Combo Child Interpretations, but I want all Halloran Software customers to see for their own charts how accurate these syntheses are, so I am offering to do short 8-page reports for just $15 that draw on these new, unique sign-house synthesis interpretations. I have also reduced the price on the sample Halloran Aspect Patterns reports to $20. Click here to order personal report samples. Announcing the KidZone Combo Child Interpretations, the most personal and in-depth natal report yet, attracting glowing reviews. You can select five different reports that draw on this extensive interpretation database, ranging from the 10-page Combo Basic report to the 50-page Combo Full report. Click to read a short Basic report with just the combo interpretations for Charlie Sheen. Announcing the Classic British Astro Report interpretation set. Learn from the masters. It costs just $40! This inexpensive interpretation set makes the perfect gift for an astrologer. Get in-depth natal reports ranging from 35 to 45 pages in length. Authors include Alan Leo, Sepharial, Evangeline Adams, Charles E.O. Carter, and John Halloran. There is a special bundle offer of this interpretation set with the latest Famous Charts collection. Get more info and read the sample reports for Queen Elizabeth II and President Obama. Version 7.1 made it possible to have the coordinates and time zone histories for three million world cities at your fingertips. Announcing the Geo Names Atlas, a $100 add-on to AstrolDeluxe ReportWriter. Click to see a sample atlas screen (16K image). The Geo Names Atlas puts thirty (30) times more world cities at your fingertips than you have with the PC Atlas. The PC Atlas covers the United States and its 150,000 cities much better than it does the rest of the world, for which for over 230 countries the PC Atlas lists only 100,000 cities. Instead of apologizing, like other astrologers, that your program doesn't know the birthplace, you can be a hero. No birthplace in this international world will be too difficult for you after you have this inexpensive ($100) add-on that is only available to Halloran Software customers. See pictures of Halloran Software and discuss astrology software at this Facebook page. Sign up there as a Fan for early notification and discounts on the new products that we will be announcing. There is a new 32-bit CD version of Astrodynes for Windows called Astrodynes with Batch Processing. 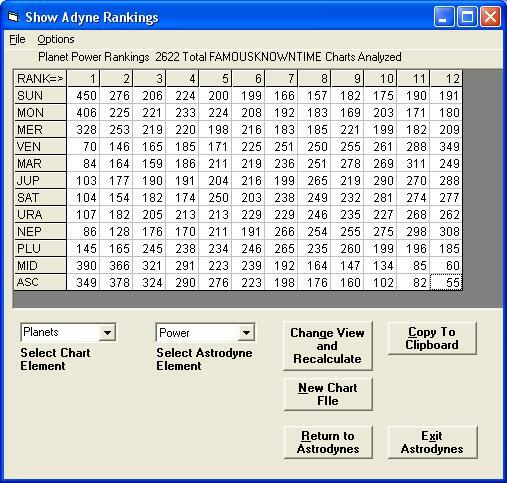 Not only is it updated for the latest Windows computers, but it gives you the research ability to find Astrodynes power and harmony signatures for groups of charts that you have collected. Click to see the new screen of batch processing results (73K image). Click to read the program description. A new 32-bit version of Biorhythms for Windows Pro is available for download. This program, written by Valentas Daniunas, lets you easily see when are your peaks and lows and how compatible your biorhythm cycles are with others. You can check out the actual Biorhythms program and, if you like it, pay to register your downloaded program. There are price discounts if you use the download to update an older purchase. A favorable review of AstrolDeluxe ReportWriter, version 6.3, appeared in the January 2005 issue of Dell Horoscope magazine. The Book and Product Review starts on page 40, if you want to check it out. Here is a quote from the last part of the final paragraph: "The KidZone is tailored for children and includes a unique Sun-Moon-Ascendant description. Many books or software programs will describe a pair of planets or the Sun-Moon blend, but synthesizing the specific character traits associated with an individual Sun, Moon, and Ascendant was an ambitious undertaking. The KidZone now offers astrologers a new level of interpretive accuracy. For the most advanced computer-driven calculations and interpretations that can be generated at a moderate price, AstrolDeluxe ReportWriter is an excellent choice for the twenty-first century astrologer." As of September 25, 2004, Halloran Software is shipping child natal interpretations that include Sun/Moon/Ascendant combination delineations. Achieve the deepest understanding of anyone's psychology with these combined readings. Use these links to read about, view samples of, and order Halloran Software's new Kid Zone(tm) with Sun/Moon child natal report. This combination of the Sun, Moon, and Ascendant represents a new level of accurate synthesis, the highest that any astrology program has achieved to date. Click here to read the late Christopher Reeve's Sun/Moon/Ascendant synthesis from Halloran Software's new KidZone with Sun/Moon natal report. As of July, 2004, Halloran Software is shipping a new version 6.3 of AstrolDeluxe ReportWriter, which adds animation of the quadwheel display (typically with major progressions, minor progressions, and transits around a natal chart), multi-wheel aspect lists, an option to add declination parallels and contraparallels to the zodiacal aspect lists, another option to use Charles Jayne's Sliding Scale for declination parallel orbs, calculation of declination positions with the Ephemeris Generator, and a colorful pop-up bar graph of Planetary Strengths for any wheel, from the single wheel to the quad wheel, which moreover updates automatically when you animate the wheel forward or backward in time. Version 6.3 also updates the international data files of the bundled PC Atlas, which has the coordinates and time zone change histories for 250,000 cities. Version 6.3 of AstrolDeluxe is 100% compatible with all 32-bit versions of Windows, from Windows 95 to Windows XP. See the Software Details page for price information and the Version 6.3 Features page to see details of what is added to the new version. The January 2004 issue of American Astrology: Your Daily Horoscope featured a glowing review of our AstrolDeluxe ReportWriter program by the editor, Kenneth Irving, who describes the software as "highly capable" and "very flexible", and concluded that, "AstrolDeluxe ReportWriter is a great software package, with enough options to satisfy most users, clear, well-written help files, and enough flexibility to grow with you as your needs and tastes change. Even though many aspects of it are geared to the professional user, it is simple enough for a student of astrology to learn, as the program's standard settings make it easy to use the program 'out of the box'." Click here to read the complete review. Cookbook of Winning Astrology Software Recipes - Halloran Software received about fifteen winning entries in its contest ending on December 31, 2002 for routines that could be helpful to you in your practice of astrology. As of December 8, 2003, we are reviving this contest. Click for details and to read these helpful recipes for expanding your practice by using Halloran Software programs. Halloran Software is selling a $1,000 web-enabled version of AstrolDeluxe ReportWriter to customers who want their web sites to automatically generate charts and interpretation reports. We spent eight months working with an astrology site webmaster in England to get this program working in a well-behaved way on a Windows server computer that also hosts other companies' sites. The program is now in live use. The address of this astrologer's web site will be supplied on request. NOVEMBER, 2001 PRICE REDUCTION!!! Carolyne Lacy, author of our Spirit Success interpretations for doing 18-page natal reports, which we have been selling for $49, recently gave me permission to bundle these well-written interpretations with AstrolDeluxe ReportWriter. So, until further notice, we will include these excellent interpretations at no charge in the packaged order of everyone who is getting AstrolDeluxe ReportWriter for the first time. Version 5 of AstrolDeluxe started shipping in March, 2001. See the Version 5 Features page to see what was added to this version. The September issue of Dell Horoscope magazine reviewed version 5 of AstrolDeluxe. Click to read this review. Also look for other upcoming reviews, first in the magazine of the International Society for Astrological Research (ISAR), The International Astrologer, November, 2001 issue, and then in the February, 2002, Mercury Direct insert that goes to subscribers of The Mountain Astrologer magazine. All interpretation sets are now available in British English spelling for our customers living in Britain, Australia, and New Zealand or wherever else these interpretations are desired. Halloran Software is distributing Babylonia 1.3, a Windows 98 & higher program for Babylonian astronomy and astrology. Babylonia 1.3 is written by Rumen K. Kolev, who is also the author of the most specialized program in the world for calculating primary directions, and in fact Babylonia 1.3 includes calculation of dates for primary direction contacts to a chart's angles. The Babylonia 1.3 program, together with an illustrated 60-page book about Babylonian astronomy and astrology, sells for $120.